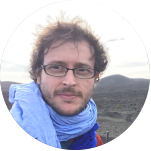 Matteo Massironi is associate professor in “Structural Geology” at Padova University where he teaches “Geological mapping”, “Satellite Remote Sensing” and “Planetary geology”. He has been involved in several cartographic and field survey projects in Europa, North Africa, South America, Near East and he contributed to the field surveys and structural analysis conducted for the Brenner Basis Tunnel project transecting the Central Eastern Alps where he applied also 3D geo-modeling techniques. He is team member of the following instruments mounted on ESA space missions: SIMBIOSYS-Bepi-Colombo for the exploration of Mercury; CaSSIS-Exo Mars for the exploration of the Martian surface; OSIRIS-WAC of the Rosetta mission to the 67P/Churyumov-Gerasimenko comet and JANUS-Juice mission to Jovian satellites. From 2016 he has been scientific coordinator and prime instructor of the ESA PANGAEA course which aims at training ESA astronauts in planetary and field geology. Member of the editorial board of Geosciences and of the Journal of Geological Field Trip and Maps. Awards: 2000 “Giuseppe and Paolo Gatto” award of the Accademia Nazionale dei Lincei for his post-doctoral studies on the Italian Alps; 2017 the International Astronomical Union named Asteroid 11440 after "Massironi". Involvement in PlanMap project: He leads the coordination and management WP1, the 3D subsurface geological modeling WP6 and the dissemination WP8. Institution: Astronomical Observatory of Padova of the National Institute of Astrophysics (INAF). Gabriele Cremonese is an astronomer at the Astronomical Observatory of Padova of the National Institute of Astrophysics (INAF). He started to work on comets observation at the telescope and modeling and exospheres of terrestrial planets and satellites. He is still working on the dynamical evolution of micrometeoroids in the Inner Solar System. Then he started to be involved in planetary space missions and analysis of planetary surfaces. It has been involved, as CoI, from the beginning to the design and realization of OSIRIS, the cameras on board of the Rosetta mission. He started to work on the BepiColombo mission in the 2001 as a member of the ESA committee for the definition of the payload, now he is the PI of SIMBIO-SYS, a suite of 3 remote sensing instruments, on board the mission. He is CoPI of CaSSIS, the stereo camera on board ExoMars TGO, Deputy-PI and Project Scientist of Janus, the camera on board JUICE. He has been the PI of the studies of cameras and stereo cameras for other proposed missions as Marco Polo, Marco Polo-R, and EJSM-Laplace. He is CoI of HiRISE on MRO; CoI of PHEBUS and MSASI on BepiColombo; Scientific Consultant of BioSign the experiment that will be installed in the ISS. He is a member of the Solar System and Exploration Working Group of ESA. In the last 15 years started to work on stereo reconstruction and DTM generation of planetary surfaces, from the design of new concept of stereo cameras to the realization of specific software. At the moment he has the responsibility, with his group, of the generation and archiving of the DTMs of Mars using the stereo pairs of CaSSIS. He is responsible and involved in several Public Outreach activities, mainly based on 3D video and Virtual Reality. 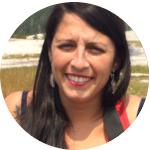 Barbara De Toffoli is a PostDoctoral Researcher at the Geoscience Department, University of Padua (Italy). She has a MSci in Geology followed by a PhD in Earth Sciences focused on “ Gas emission centres on Mars surface and putative biological contribution: insights on hydrothermal fluid circulation in the upper crust” . She is involved in the GeoPlaNet Consortium and spent part of her PhD at the Laboratoire de Planétologie et Géodynamique of Nantes (France). She is an Associate Scientist of the CaSSIS camera/ExoMars team mainly focused on geological mapping. Her research interests include fluid circulation in the Martian crust and terrestrial analogue sites, analysis of percolating fracture systems, sedimentary volcanism, water resurgences and degassing centers identification in a search for life perspective. Involvement in PlanMap project: She helps with WP2, WP5 and WP6. 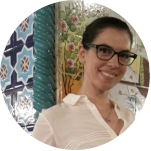 Elisa Facciolo graduated in Modern Languages and Literature in 2001 at Padua University, where she is currently working as an administrative expert in international research projects. She is responsible for all administrative aspects of managing a funded project, gives support to departmental staff and assists Principal Investigators, by providing guidance on University policies and procedures as well as specific grants terms and conditions. She takes care of expenditure reports and helps in the preparation of financial statements. Involvement in PlanMap project: She helps in coordinating the WP1. Institution: CISAS - Center for Studies and Activities for Space "G. Colombo"
Sabrina Ferrari is a postdoctoral researcher at CISAS - Center for Studies and Activities for Space “G.Colombo” in Padua (Italy). She obtained the PhD in Earth Sciences in 2013 with the thesis “The Surface of Mercury: Interpreting Remote Sensing Images and Spectral Signatures". She was a DAAD postdoctoral fellow at the Planetary Emissivity Laboratory of DLR in Berlin (2013-2015) working on non-ambient conditions spectroscopy, then she obtained a fellowship at CISAS (2016-current) to study the morphology and the spectrophotometry of comet 67P/Churyumov-Gerasimenko.She is an assistant scientist of the OSIRIS/Rosetta team and an associate scientist of the JANUS/JUICE team. Alice Lucchetti is an astronomer, Researcher at INAF-OAPD Astronomical Observatory of Padova (Italy). She graduated in Astronomy in 2012 at the University of Padova. In 2016 she got the PhD in Space Science, Technologies and Measurements at the CISAS-Center for Studies and Activities for Space “G.Colombo” working on geomorphological structures related to energetic activities on Solar System bodies from satellite images. In 2016 got a 1-year postdoc at INAF-OAPD working on the analysis of planetary surface by satellite (comet 67P, Mercury and icy satellites). She is involved in planetary missions being a team member of the following instruments onboard ESA space missions: Co-I of the JANUS/JUICE mission to the Jovian system and its icy satellites; associate of SIMBIO-SYS/BepiColombo mission for the exploration of Mercury; associate of CaSSIS/ExoMars for the exploration of the Martian surface and assistant of OSIRIS/Rosetta mission to the comet 67P/Churyumov-Gerasimenko. She is currently working on fractures cluster analysis and geological processes on icy satellites and on the geomorphological and spectrophotometric analysis of hollows on the surface of Mercury. In addition, she is carrying out research activity also on comet 67P and Mars. Involvement in PlanMap project: She helps in WP6 and WP8. 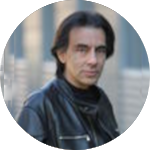 Maurizio Pajola is a Researcher at the National Institute for Astrophysics-Astronomical Observatory of Padova (INAF-OAPD, Italy). In 2010 he got his Master Degree in Astronomy at the Physics and Astronomy Department of the University of Padova (UPD, Italy). In 2014 he got the PhD in Astronautics and Satellite Sciences in between the Center for Studies and Activities for Space “G.Colombo”, CISAS-UPD and the NASA Jet Propulsion Laboratory in Pasadena-California/USA with a Thesis on the geological characterisation and surface spectroscopy of ancient Mars drainage networks. 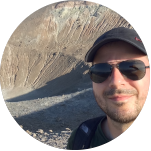 In 2014-2015 Maurizio worked as a Post-Doc at the CISAS-UPD focusing on comet 67P/Churyumov-Gerasimenko surface analysis through Rosetta high-resolution imagery. In 2016-2017 he worked as a NASA fellow at the Ames Research Center, in Moffett Field-California/USA, analysing the surface mineralogy of Phobos and identifying the engineering safest and geologically most interesting Martian landing sites for the ExoMars and the Mars 2020 rovers. He is currently involved in different minor bodies and planetary space missions, being a Co-Investigator of the NASA OSIRIS-REx sample return mission from Near-Earth Asteroid (101955) Bennu, Associate Scientist of the ESA OSIRIS/Rosetta mission to the comet 67P/Churyumov-Gerasimenko, Associate Scientist of the ESA CaSSIS/ExoMars for the exploration of the Martian surface and Associate Scientist of the SIMBIO-SYS/BepiColombo mission for the exploration of Mercury. He is working on geomorphological and spectrophotometric analysis of Martian paleoriverbeds and paleolakes, as well as on the identification of future Mars Human landing sites. He focuses on mineralogical clustering and modelling of different types of terrains present on the planet Mercury. In addition, he is carrying out research activity on comet 67P and Phobos. Involvement in PlanMap project: He helps in WP6 and WP8. 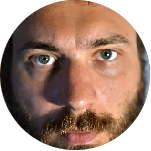 Luca Penasa is a postdoctoral researcher at CISAS - Center for Studies and Activities for Space “G.Colombo” since 2016, where he works for the Rosetta’s OSIRIS camera team. He obtained his PhD in 2015, with the thesis “Laserscanner Cyclostratigraphy. A remote sensing approach for the extraction of long time series from large outcrops” (download it from google drive here). He is currently working on the study of the layering on comet 67P and he is an active data scientist developing in C++ and python, and open source software advocate. His works are mainly related to remotely-sensed data processing for geological purposes. Follow his work on github. Involvement in PlanMap project: He is involved in Planmap activities as support for geological 3D modelling and data processing. Riccardo Pozzobon currently has a PostDoc position at the Department of Geosciences in University of Padova. He graduated in Geology and Technical Geology in 2010 at the University of Padua and obtained the PhD in “Planetary Geology” in 2015 working on fractal clustering analysis and fluid expulsion on volcanic and mud volcanic fields on Mars. In 2015 got a research grant at INAF (National Astrophyisics Institute) on analysis of the subsurface fluids distribution in Jupiter’s Icy moons and in Saturn’s icy moon Enceladus. He carried out several activities in the mineralogical field including synthesis of mantle minerals/earth core-related metal alloys at the Bayerisches Geo-Institut in Bayreuth. He is involved in space missions for planetary exploration, being a team member and associate scientist of the following imaging systems mounted on ESA spacecrafts: CaSSIS-Exo Mars, JANUS-JUICE mission to Jupiter Icy Moons. The current research activities involve mud volcanism and diapirism on Mars, DTM analysis, 3D geo-modeling and lava tubes in the solar system. From 2016 is instructor for orbital images recognition and responsible for training materials in the ESA PANGAEA geologic training for astronauts. Involvement in PlanMap project: He helps in coordinating and production of the 3D subsurface geological modeling in WP6 and the dissemination of WP8. Nicola Praticelli is the Information Technician at the Department of Geosciences. He’s involved in the maintenance of the computer network of the Department, assistance to user for what concern hardware and software, and the design and maintenance of web sites of the Department. Involvement in PlanMap project: He wrote the layout of the Planmap web site and gives assistance in the maintenance of the web site. Cristina Re is currently a Researcher at the National Institute for Astrophysics-Astronomical Observatory of Padova (INAF-OAPD, Italy). She graduated in Environmental Engineering at the University of Parma in 2010 with a Master Thesis in Photogrammetry. In 2014 she got the PhD in Astronautics and Satellite Sciences at the Center for Studies and Activities for Space “G.Colombo” working on the three dimensional reconstruction of planetary surfaces. 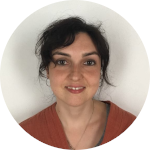 Since 2014, she works at the INAF-OAPD contributing in the development of a 3D reconstruction software applying photogrammetric procedure and advance matching algorithms. She is currently involved in the BepiColombo mission to Mercury, being Co-Investigator of the SIMBIO-SYS imaging package and of the laser altimeter BELA. 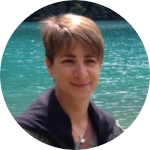 She is also the key person in the BepiColombo PI Contract with ESA-SGS for the support to SIMBIO-SYS Science Operations and responsible for the Data Handling and Archiving for the Stereo Camera channel. She is Associate Scientist of the ESA CaSSIS/ExoMars working on the Digital Terrain Model generation of the surface of Mars and stereo product archiving. Associate Scientist of the JANUS camera for the ESA-JUICE mission to the Jovian system and its icy satellites. She is working on photogrammetric topics related to the image processing and Digital Terrain Model generation from stereo camera images. Involvement in PlanMap project: She is involved in the PLANMAP project in support of WP6 and WP8. Francesca Zambon is a researcher for the National Institute for Astrophysics (INAF-IAPS) in Rome. Her main research focuses regards the physico-chemical analysis of airless bodies of our Solar System using remote sensing techniques, particularly visibile to near infrared hyperspectral imaging and multispectral optical imagery. She is involved in the Dawn mission from 2012, studying the surface composition of Vesta and Ceres through the analysis of the VIR imaging spectrometer data. Within the SIMBIO-SYS project, she produced maps of spectral indices computed on the basis of MESSENGER/MDIS data, with the goal of enabling a better understanding of the surface composition of Mercury and supporting the geological interpretation. She is Co-I of the BepiColombo/SIMBIO-SYS instrument, team member of the VIR/Dawn spectrometer and team member of the MAJIS/JUICEspectrometer. Involvement in PlanMap project: She is involved in the PLANMAP project in support of WP4. David Rothery is Professor of Planetary Geosciences at the Open University. He has been at the Open University since beginning a PhD there in geological remote sensing in 1978. He became a Senior Lecturer in 199. During 1999-2004 he was Director of Teaching and Geosciences Programme Director for the Department of Earth Sciences. He has also been Leader of the IAVCEI Commission on Remote Sensing, and in 2005 was appointed to the PPARC Solar System Advisory Panel and the BepiColombo Oversight Committee. 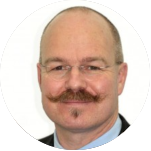 In May 2006 he was appointed UK Lead Scientist on MIXS (Mercury Imaging X-ray Spectrometer), which is the only UK Principal Investigator instrument on BepiColombo, the European Space Agency mission to Mercury to be launched in 2018. He became MIXS Lead Co-Investigator for geology in 2014, and chairs ESA's Mercury Surface and Composition Working Group. His research interests centre on the study of volcanic activity by means of remote sensing, and volcanology and geoscience in general on other planets. In addition to authoring/co-authoirng numerous peer-reviewed papers about the geology of Mercury, he wrote 'Planet Mercury: from Pale Pink Dot to Dynamic World' (Springer, 2015). Involvement in PlanMap project: He leads WP2, the geological mapping work package, for Planmap, and is helping to coordinate/achieve geological mapping of Mercury in prepration for BepiColombo. Matt Balme is a UK-based planetary scientist specialising in planetary geomorphology and geology. His first degree was an MSci in Physics with Space science from University College London in 1997, which was followed by a PhD in Geophysics awarded in 2001, also at UCL. He worked as a postdoc in the US and France before taking up a part-time research fellowship back in the UK while continuing his NASA funded work in the US. 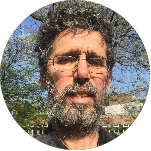 He is now permanently based in the UK at the Open University where he holds a Senior Lecturer (associate professor) position, and leads the Planetary Environments research group - part of the School of Physical Sciences. He is a team member of the ExoMars Rover Pancam team, and ExoMars Trace Gas Orbiter Guest Investigator with the CaSSIS camera team. He is part of the ExoMars Rover landing site selection working group. His current research activities are mainly focused on the ExoMars Rover mission, including geological mapping of landing sites, field trials of instruments, and end-to-end field trials of the mission as a whole. Harald Hiesinger is a professor of geological planetology at the Westfälische Wilhelms Universität Münster in Germany. He received his doctoral degree in Geology in 1999 from the Freie Universität Berlin in Germany. He participates on numerous planetary missions, including as principal investigator of the MERTIS instrument on ESA's BepiColombo; co-investigator on the Lunar Reconnaissance Orbiter Camera (NASA), the High Resolution Stereo Camera on ESA`s MarsExpress mission, and the JANUS camera on JUICE; and as a participating scientist on DAWN (NASA). His research focuses on the dating and mapping of planetary surface units to interpret the geological evolution of different solar system bodies, which represent the goals of WP3 under his leadership. Involvement in PlanMap project: He leads WP3. Carolyn van der Bogert is a research scientist at the Westfälische Wilhelms Universität Münster in Germany. She received her PhD in Geological Sciences in 2004 from Brown University in Providence, Rhode Island, USA. She is a co-investigator on the Lunar Reconnaissance Orbiter Camera (NASA). Her research focus is on using crater size-frequency distribution (CSFD) measurements to date different kinds of geological units on terrestrial planets. She also uses CSFDs and geomorphological analysis to investigate impact, seismic, and volcanic processes. 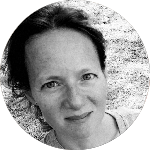 Involvement in PlanMap project: She contributes to the mapping and stratigraphic analysis of different areas on the Moon, Mars, and Mercury in the context of WP3. 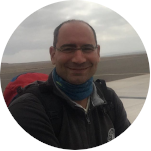 Cristian Carli is a geologist, Researcher at IAPS-INAF in Rome. He graduated in Geology (2005) at University of Padua and he obtained the Ph.D. in Earth Science (2009) at University of Parma. He has a background in Petrology and Spectroscopy, working both on laboratory and remote sensing analysis. He worked as postdoctoral researcher at IAPS since 2009; studying spectra of analogues and meteorites in lab, and remote sensed spectral images of Mercury, Mars and Moon. 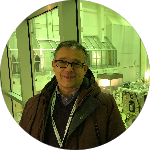 He is Co-I of SIMBIO-SYS/Bepicolombo, coordinating the “Surface Composition and Laboratory activities on surface analogues” WG, and associate scientist of the MAJIS/JUICE. 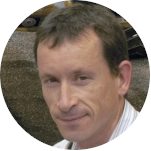 Involvement in PlanMap project: He is responsible for WP4 and he works on the spectral analysis and the integration of spectral properties into the planetary geological mapping. Francesca Altieri is a research scientist for the Istituto di Astrofisica e Planetologia Spaziali (IAPS) of the Istituto Nazionale di AstroFisica (INAF) in Rome. She is co-I of OMEGA/MEx, NOMAD/ExoMars TGO, ACS/ExoMars TGO, MAJGIS/JIUCE instruments and Deputy-PI of the MA_MISS/ExoMars 2020 experiment. She was involved in the H2020 UPWARDS project. She has scientific interest in the study of solar system’s objects through imaging spectroscopy and has expertise in Martian surface (soil and ices) and atmosphere (gaseous and aerosols) composition by working with Martian data sets. Involvement in PlanMap project: In PLANMAP, she is deputy of WP4. Stéphane Le Mouélic is a CNRS research engineer working at the “Laboratoire de Planétologie” (LPG) in Nantes, France. His PhD was focused on the mineralogy of the Moon using multispectral data. He then worked on radar interferometry techniques for environmental monitoring during two years at the French Geological Survey, before joining the LPG in 2003. Since then, he has been studying the morphology and composition of planetary surfaces using optical imagery and near-infrared imaging spectrometers. He is Co-Investigator of the OMEGA imaging spectrometer onboard Mars Express, team member of VIMS onboard Cassini, collaborator of Chemcam onboard Curiosity and Co-I of Civa onboard the Rosetta/Philae spacecraft. 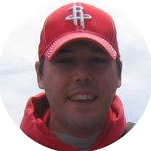 He has been involved in several public outreach activities, and will be working on WP5. especially interested in understanding of Mars geological and climatic evolution based on orbital data and in situ rover data. He is co-investigator of several orbital instruments (Mars Express OMEGA and HRSC imagers, ExoMars-TGO Cassis images, Mars Reconnaissance Orbiter HiRISE imager) and in-situ (Curiosity ChemCam instrument, Mars 2020 SuperCam instrument and ExoMars WISDOM radar). His work includes the finding of precipitation-related fluvial landforms on Mars with orbital data and its ground truth at Gale crater with Curiosity data, the finding and understanding of the context of formation of hydrous minerals such as clays with Mars Express data, and the distribution of ground ice through the identification of ice-related landforms (as glaciers and permafrost). Involvement in PlanMap project: He will contribute especially to the WP5 in coupling orbital data and in-situ data with virtual reality to new extract geological information. Gwénaël Caravaca is a geologist, currently a CNRS Research Engineer currently working at the Laboratoire de Planétologie et Géodynamique (LPG) in Nantes, France. He gradutated his Master's degree in 2013 at the University of Burgundy (Dijon, France) with a specialization in Sedimentary Basins Geology. 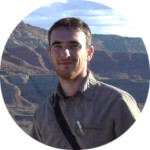 He obtained his PhD in 2017 in Earth Sciences at the Université de Bourgogne-Franche-Comté (Dijon, France) for his work on the multiscale and multidisciplinary characterization of the 4D evolution of the Early Triassic Sonoma Foreland Basin (western USA) and its controlling factor, in relation to the biotic recovery after the end-Permian mass extinction. As a post-doc, he currently works at the LPG on the digital recreation of Martian outcrops of the Gale Crater studied by the MSL mission and its rover Curiosity. He then contributes to the integration of Digital Outcrop Models (DOM) into Virtual Reality systems for geological purposes. He also works on the stratigraphical and sedimentological interpretation of these DOM, and on their local- to regional-scale integration within the Gale Crater framework. Involvement in PlanMap project:He helps in WP5. Angelo Pio Rossi, geologist by background, is professor of Earth and Planetary Science at Jacobs University. He has been involved in several planetary mapping and data exploitation activities, in addition to various scientific coordination roles (e.g. 2009 ASI/USGS geological mapping workshop). He is coordinator of the H2020 EarthServer project and leads the Planetary Service. 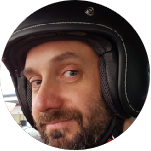 He is deputy coordinator of the EuroPlanet VESPA activity and leads planetary analogue geologic and geophysical integrated studies within AGPA. He has organized major sessions, workshops and conferences, as well as edited a variety of journal special issues and books. He serves as editor-in-chief of Planetary and Space Science. He co-founded the OpenPlanetary association. More info on http://aprossi.eu/. Involvement in PlanMap project: He is deputy coordinator of WP 1 and leads the WebGIS, data fusion and data sharing WP 7. 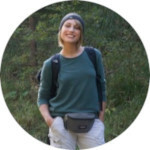 Erica Luzzi is a geologist, graduated at Sapienza University of Rome in 2017 in Exploration Geology, with a master thesis about sedimentological and structural observations in Arabia Terra, Mars. She is currently enrolled at Jacobs University Bremen as PhD student, mainly focused on geological mapping, 3D modelling and mineralogical characterization, using CTX, HiRISE, HRSC images and DEMs and CRISM data. She is carrying out geological mapping on ArcGis, modelling on Move (Midland Valley) and interpreting the spectral data through ENVI CAT. Moreover she is working on terrestrial analogues and was recently involved in AGPA (Augmented field Geology and Geophysics for Planetary Analogues: http://www.agpa-project.eu/).